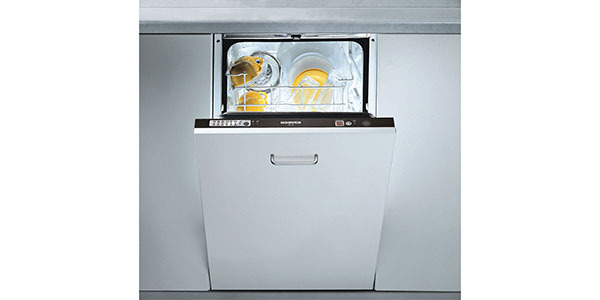 Integrated dishwashers are valued for their ability to seamlessly fit in with the design of the room. 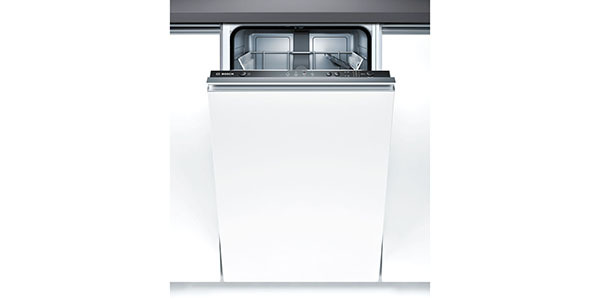 They might cost a little more, but some buyers do not want their appliances on display. They want them hidden away and ready to do their job when they are needed. 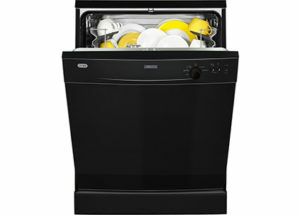 As with freestanding models, a person that is shopping for an integrated dishwasher will have a good number of options. You have machines that can hold various amounts of dishes, machines that come with a wide selection of programs, and there are tons of great features that can expand the usefulness and versatility of the machine. With so many different models, it can be difficult to find the right one for the individual. You do not want to go out and just buy the first one that fits your budget. 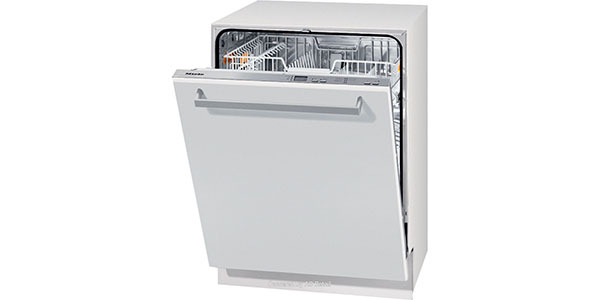 You want to evaluate different factors to find a dishwasher that will provide the best performance for your home. When you go shopping for a dishwasher, finding this ideal fit for the needs of your home can be difficult. Even if you narrow the search down to the basic requirements of your budget and the right capacity, there is a good chance that you will still have several machines to choose from. To figure out which of these machines will work best for you, it will require a little bit of research. To make this process easier, our website offers reviews, buying guides and a number of resource pages that can save you time, effort and money. When you read one of our reviews, you get a complete evaluation of the model in question. 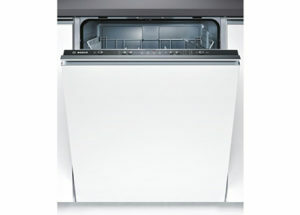 If you are unsure of what to look for in a new dishwasher, you can also read our buying guides and info pages. These pages explain the different options that you have and what these differences mean for the user. Further, we also recommend best buys for integrated machines. If you are just looking for a machine that will help you to get the most from your budget, these best buys can be a great option. 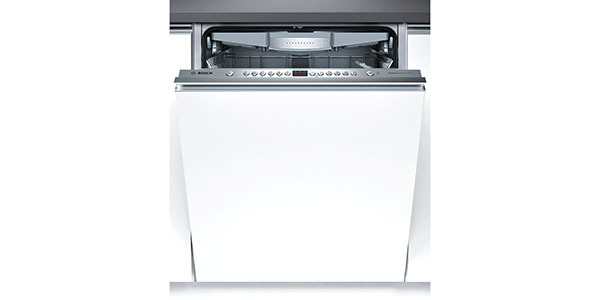 Every shopper has his or her own preferences when it comes to the things that they look for in a dishwasher. Some people weigh certain points more heavily than others, and for some shoppers, there are certain points that they give very little consideration. The following is a list of some of the factors that a buyer might consider, and what they might mean to the shopper. Performance: Most shoppers are going to put at least some value on points that concern performance. 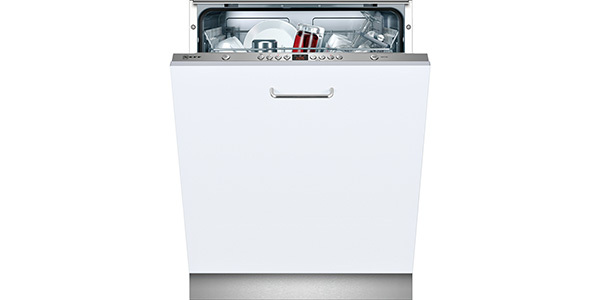 With most modern dishwashers, the cleaning performance is good, but there can be some difference between machines. As additional performance points, you have things like the amount of time that it takes to run a cycle, the drying performance and the affect and performance of any special features or cycles. Build Quality: Shoppers should put at least some stock in build quality. A machine with a good build quality will last longer and it will it will be more reliable. Capacity: Most full-sized models will be able to hold from 12 to 14 place settings, however, there are a few that can hold more. 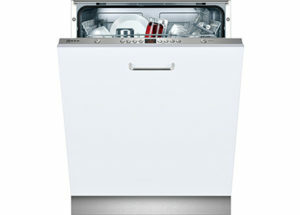 Capacity is primarily a concern in that you want to have a machine that can wash a day’s worth of dishes in one cycle. Integrated or Semi Integrated: Some shoppers might prefer the semi integrated design. With this, most of the front panel is covered, but the controls are still visible and accessible on the front of the machine. Features and Programs: The list of special features and programs has really expanded over the last few years. You can still buy machines that just have the basic settings, but some buyers love features like sensor washing, sanitize and automatic load size detection. Racks: The design of the racks will have a direct effect on how easy the machine is to load. The versatility that comes with certain types of racking may be important to some buyers. Efficiency: Saving on water and electricity is important for the environment, and it can also save you a little money on your utility bills. For some buyers, these points can make a big difference in their purchasing decision. Budget: Obviously, you need to find a machine that fits your budget. A higher budget will mean that you have more choices and the ability to get more of the features that you want. 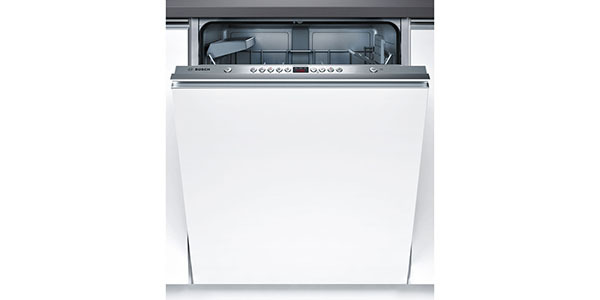 If your budget is small, you should still be able to find a quality dishwasher, but you may have to compromise on a few points. Ease of Use: For some shoppers, the convenience and ease of use are the highest priorities. They want a machine with simple controls and racks that make it easy to load. Brand: Every manufacturer has some type of reputation. For some, their name speaks to quality engineering and reliability. For others, it might be the high tech features that people associated with their name. Regardless of what the brand name means to the consumer, some shoppers have a commitment to certain brands, and this weighs heavily on their purchasing decisions. With the points listed above, you have a number of different things that a buyer may consider. You might value some of the points more than others, but you are likely to want to find information about at least a few of them. However, finding the correct information can take a considerable amount of time. Most buyers have a busy life and they don’t want to spend the necessary time to search out each important fact. This is where a review page can help to make the process easier. When you read our reviews, you can find the answer to most of these questions without having to spend a lot of time. We find the facts to make them more accessible to the shopper. If you are looking at many different machines, this could save you a lot of time. Can user reviews provide good information? With any product, user reviews can help to provide good information. 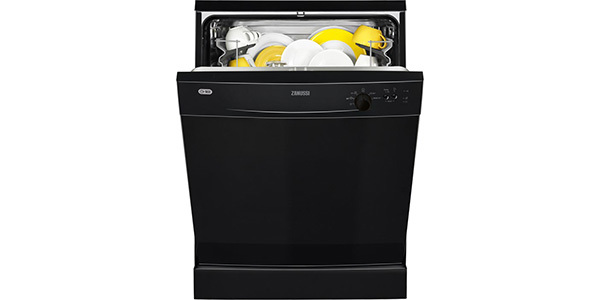 When you have real people talking about the experiences that they had, you can learn about what it is like to use the dishwasher in the real world. People will talk about the factors that help to make it a good purchase and they might talk about some things that could be done better. These are insights that can be useful when you are trying to decide if a specific model is the right one for your home. The user reviews can be good for this kind of information, but you also need to realize that these reviews can have the potential to lead you into a false impression. An unhappy buyer is going to be more likely to leave a review than a person that is satisfied, and some people leave bad reviews that may be more related to the individual experience than the experience that you or most other buyers could expect. Another point that should be realized is that a lack of reviews does not necessarily mean the product should be avoided. The newest models are unlikely to have a lot of reviews, and these are the models that are going to have the newest features and possible upgrades over previously released machines. User reviews can be helpful if they are there, but you do not need to make this type of information a requirement. As you are shopping, you can also look for information on the pages of manufacturers and retailers. Some of this information could help to settle a few of the final points that could be the final considerations for your purchasing decision. Basic Info: Find information like the dimensions, the capacity, whether it is semi or fully integrated, the number of programs and the number of wash temperatures. Programs: You should also be able to see a full list of programs. Look to see whether it has any special programs that you may need and look to see if it offers sensor washing. If there is a quick wash, you may want to check to see the length of time this cycle takes. 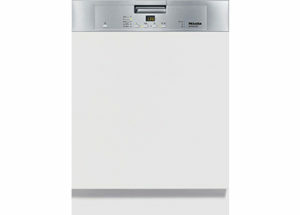 Features: Depending on the dishwasher, there could be a wide selection of features. Look for things like a half load feature, sanitize, extra dry, speed up and a delay timer. Controls: With a fully integrated model, the controls will be on the top edge of the door, and with the semi integrated models, the controls will be on the front. 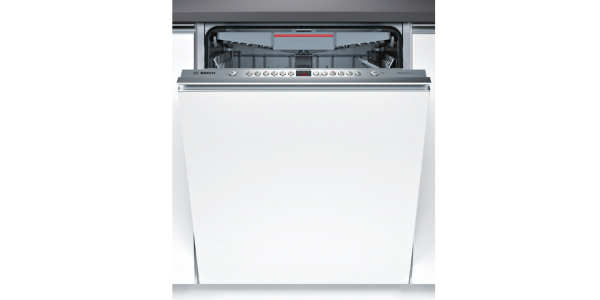 Check out the control design and consider the ease of operation that the controls provide. Display/Info Light: Some of the fully integrated machine will still have a display on the control panel. It may not be useful as a countdown timer, but it can still provide information about the operation of the machine. However, some machines will have a light that projects onto the floor to let the user know that the cycle is still running, and there are a few models that even project a countdown timer on the floor. 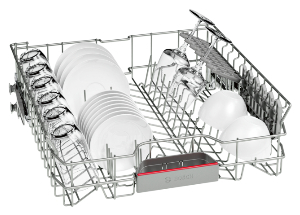 Cutlery Tray or Basket: In checking out the interior racks, you may want to look to see the solution that is there for holding the cutlery. 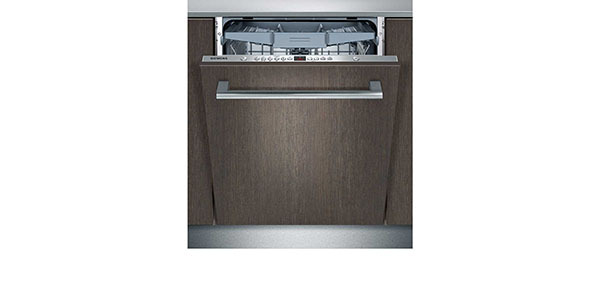 Some models will have a third level tray for the cutlery, and this can provide more space for other dishes. Efficiency: This can also be a good time to look for information about efficiency. All of these pages should list the energy rating, but you can also look for figures that reflect the water consumption per cycle and the annual energy usage. 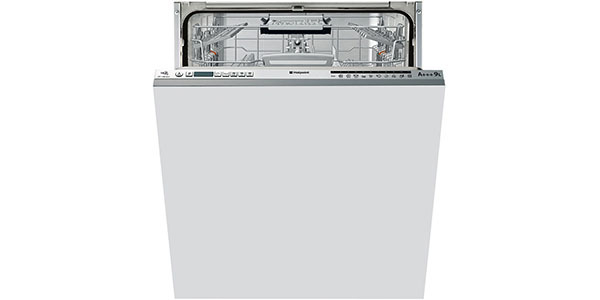 Noise: If you have had problems with dishwasher noise disturbing you in other areas of the home, then the noise level will be an important point to consider. Most pages will have a listing for the decibel level of the machine in operation. Warranty: A good warranty is not an absolute necessity, but you do want to know that the machine is at least covered for a reasonable period of time. As a further point, some machines may come with a general warranty for the overall operation of the machine, and extended warranties for things like the water system and the motor. User Reviews: Many of these pages will also provide an opportunity to see some user feedback. By just look on the one page, you will only be getting part of the picture, but it can still be useful. 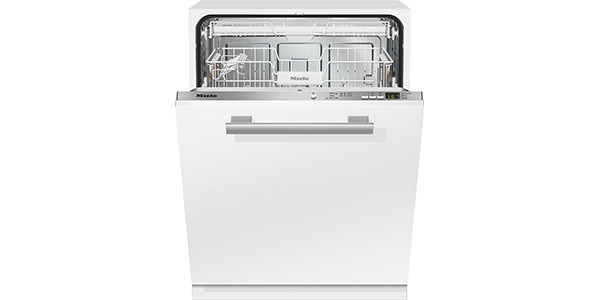 When you have found an integrated dishwasher that you like, it is important to note that the machine is probably available from a few different retailers. In many cases, the prices between these different options will be close, but there is always the chance the one retailer is selling the item for a lower price. To get the best deal, it is a good idea to check the prices at a few different sources. The price comparisons are another way that our review pages can help. 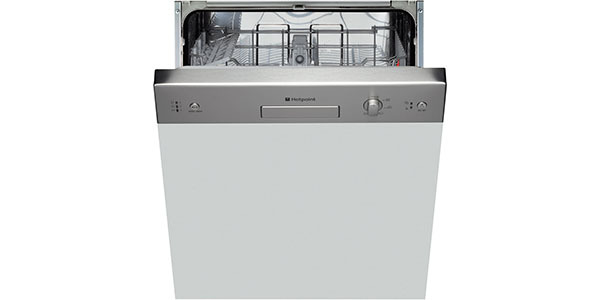 Not only do we review many of the top dishwashers, but we also list the prices from retailers across the internet. With our price listings, you can find the best price and then just click through to make your purchase. We update the prices daily, so you can also rest assured that you are getting accurate prices to make your comparison.